Dr. Spencer Striker, Digital Media Professor at the American University in Dubai, has launched an Internet series called Dubai Wave, produced by he and a talented AUD team. The concept with Dubai Wave is to look at big picture Dubai. Each episode will focus on a unique topic, such as Dubai Fitness; Dubai Social Media; Dubai Food Scene; Dubai Music, etc., with the goal to illuminate a 360-degree viewpoint of all the exciting things happening here, the gem of the Middle East. The impressive guest list to date includes the founders of two of Dubai’s most popular food blogs (Dubai Foodie Scene); the founder of Dubai’s most influential MMA gym, Tam Khan (Dubai MMA); successful entrepreneur, Anas Bukhash (Dubai Entrepreneurship); the editor of What’s On Dubai, Laura Coughlin (Dubai Magazines); and the host of Virgin Radio, Brent Black, (Dubai Radio). 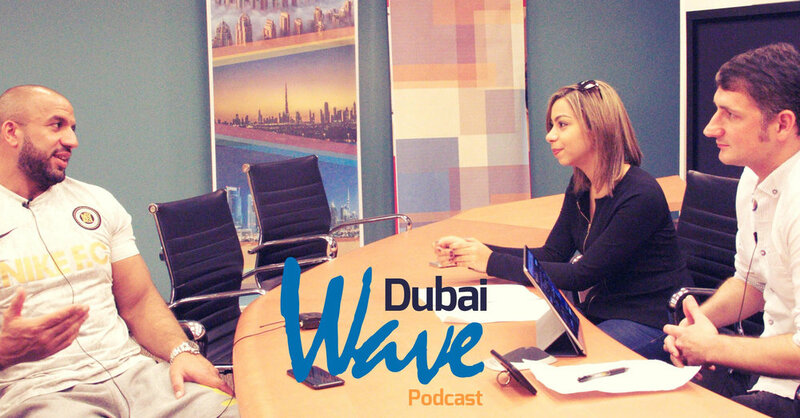 Check out the official Dubai Wave Podcast site here. Previously, Dr. Striker, with help from talented Digital Media and MBRSC students, launched a successful podcast called Digital Media & Tech in Dubai, focused on the Dubai tech industry, with eight episodes to date, featuring some of Dubai’s most exciting digital thought leaders.